Measuring 18.5 x 14 x 13.5cm this 8-Part Brain Model with Arteries practically replicates a human brain and gives you an accurate details of a real human brain structures. 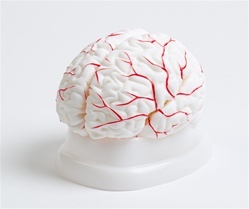 It is made of a non-breakable and high-quality PVC plastic material casted from a real human brain. 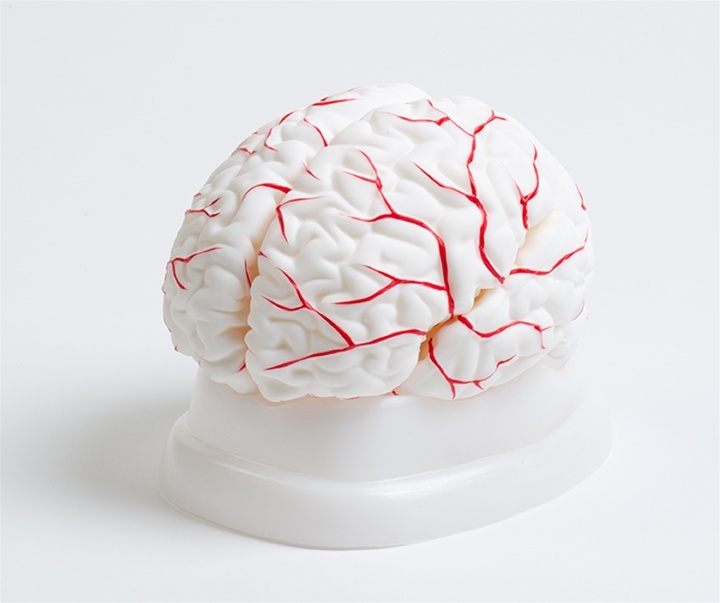 This Brain model with arteries will enable your understanding of the external features of the brain (which includes the cerebral hemisphere, brain stem, cerebellum) and its arterial supply of the brain (including the sources, vertebral, internal carotid arteries, arterial supply of the cerebellum and cerebrum). In addition to that, this brain model will also help you understand the relation among component portions. This life-size brain model is perfect for medical students especially those who study neuroanatomy. And because it can be divided into 8-parts it could help you a lot in visualizing and farther understanding each structure. For added feature, this brain model comes with a display base, keeping all the eight parts together when not in used. Great display for either school laboratory or doctor’s clinic. 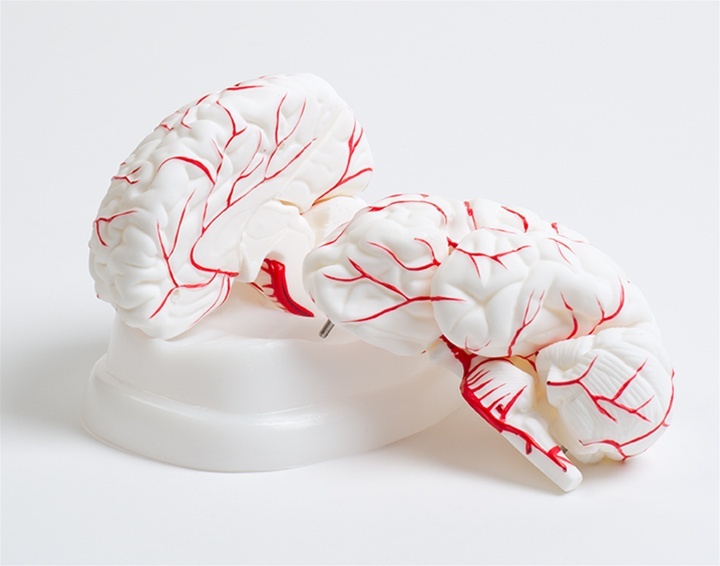 DURABLE- It is made of a non-breakable and high-quality PVC plastic material casted from a real human brain. EDUCATIONAL- This Brain model with arteries will enable your understanding of the external features of the brain (which includes the cerebral hemisphere, brain stem, cerebellum) and its arterial supply of the brain (including the sources, vertebral, internal carotid arteries, arterial supply of the cerebellum and cerebrum). Besides that, this brain model will also help you understand the relation among component portions. FUNCTIONAL- It can be divided into 8-parts which could help you a lot in visualizing and farther understanding each structure. COMES WITH A DISPLAY BASE- This brain model comes with a display base, keeping all the eight parts together when not in used. Great display for either school laboratory or doctor’s clinic. 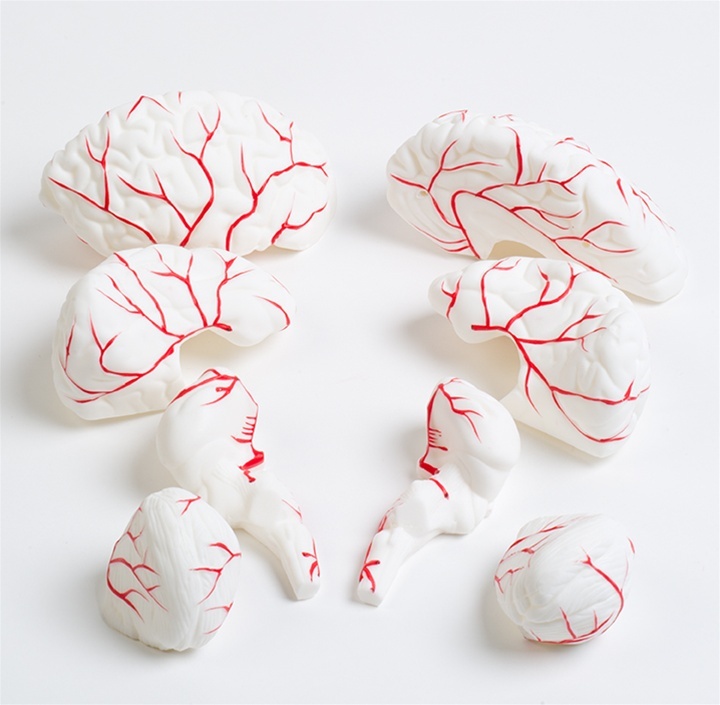 LIFE-SIZE – With a dimension of 18.5 x 14 x 13.5cm this 8-Part Brain Model with Arteries practically replicates a human brain and gives you an accurate details of a real human brain structures. Perfect aide in demonstration to a large group.